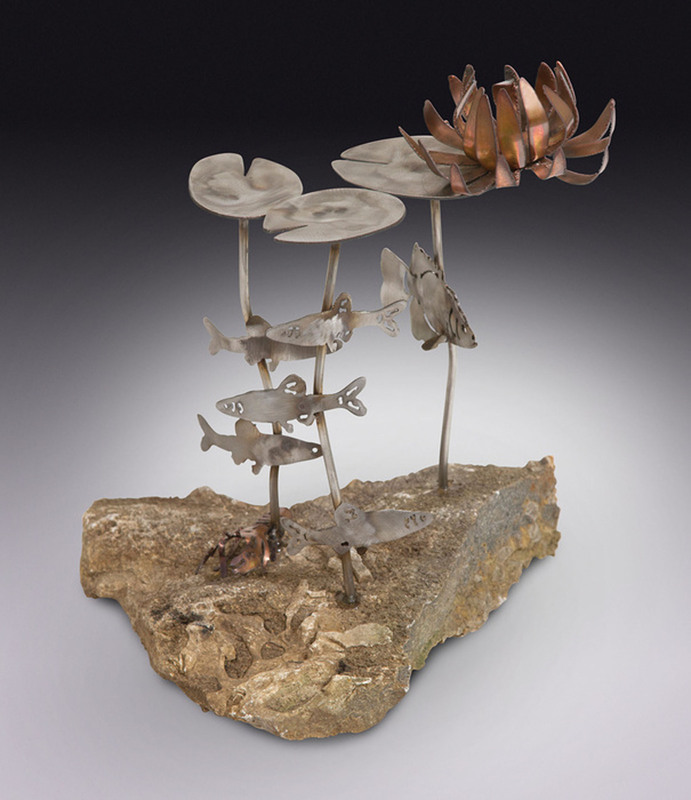 A blend of copper and stainless steel completes this picture of an underwater scene from the lake. Lilies bob on the top of the water pushed by the breezes and the minnows and crappie as they swim underneath. The crawfish searches for his next meal.